Goons, Goblins, the Alt Right, and Antifa Oh My! HEY, WAIT A SEC. 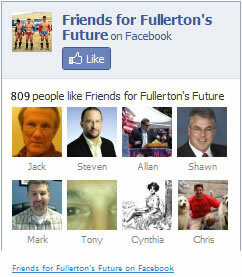 I THOUGHT FULLERTON WAS THE EDUCATION COMMUNITY! Fullerton Friends Around The World! Friend of Fullerton D’annika Washington, a sophmore Art major from CSUF currently studying male nudes abroad, enjoys an engaging FFFF blog post while waiting for an absinthe at a hip cybercafe located in a trendy reconverted warehouse in Montparnasse, Paris. LOYALTY LACKING AMONG LADY LIBERALS? RICHARD NIXON ENDORSES TOM DALY! JAN FLORY’S DOG IS STILL DEAD! As of Saturday, March 7th The Friends are saddened to report that Jan Flory’s dog is still dead. Is Fullerton ready for a John and Ken invasion? The Tax Revolt 2009 Facebook page has announced a huge protest to be held in Fullerton, as follows: Click here for details.